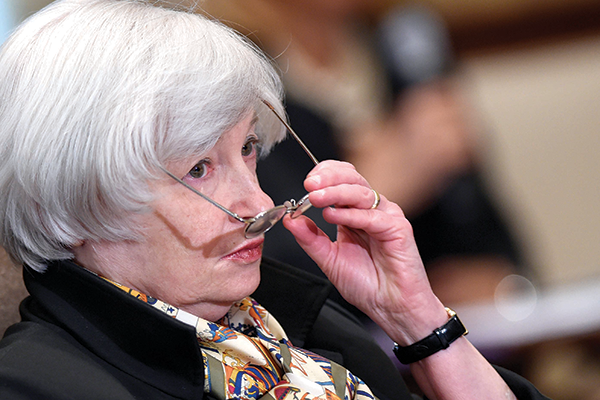 With the Fed still reluctant to raise rates, what should fixed-income investors do? Guessing when Federal Reserve Chair Janet Yellen and other members of the central bank’s policymaking Open Market Committee (FOMC) finally will raise its benchmark rates has long been one of the most popular parlor games on Wall Street and almost a daily staple of debate in the media. Several Virginia wealth managers and financial advisers caution their clients that any increase in U.S. interest rates — whenever it may come — will be minimal and tightly controlled because of the economy’s unsteady state and the Fed’s cautious reputation. Even in boom times, the Fed makes only small adjustments to the two rates it controls directly, the federal funds rate and the discount rate. These advisers recommend that retirees and families saving for their retirement remain calm and cautious in making changes to their portfolios, especially investments in fixed-income securities. And, they say, investors disappointed by very low bond yields for the last six years should resist the understandable urge to play “catch-up,” becoming too aggressive with their investments near term. 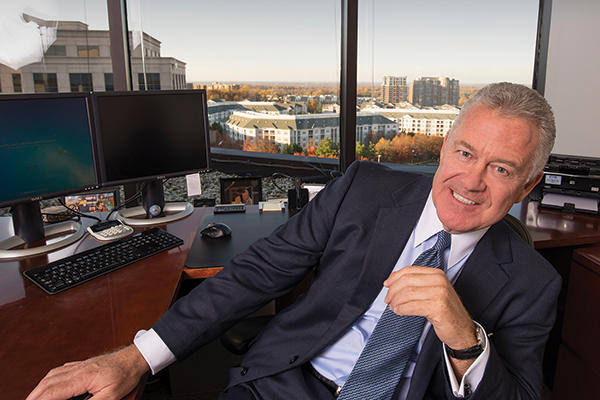 Joseph W. Montgomery, managing director of Wells Fargo Advisors in Williamsburg, recommends investors who can afford to gamble a small portion of their portfolios to look at “frontier markets,” like sub-Saharan Africa. That region’s natural resources and growing populations have drawn the attention of mostly Chinese and European companies. The International Monetary Fund (IMF) says economies in that part of the world are on track to grow by almost 6 percent in 2015, after growing by 5.1 percent annually this year and last. Central bankers around the world, including the U.S., traditionally cut interest rates to encourage borrowing and to spur more economic activity; they raise borrowing costs to slow economic activity and stifle inflation. The Federal Reserve lowered its benchmark federal funds rate to below 0.25 percent on Dec. 16, 2008, in an effort to minimize the damage from that year’s deep financial crisis on Wall Street and to apply some sort of emergency brake to the nation’s crumbling economy. That same day it dropped its other important borrowing cost, the discount rate, to 0.50 percent. In January 2011, it raised its discount rate to 0.75 percent, leaving its funds rate unchanged. The federal funds rate is the price banks are permitted to charge each other to borrow what they need to maintain the minimum balances on deposit with the Federal Reserve, usually overnight. The discount rate is what the Federal Reserve charges private banks for loans. Russ Lundeberg, chief investment officer of Barrett Capital Management in Midlothian, says the Fed will be reluctant to act any time soon because the U.S. economy still needs lower borrowing costs to get stronger as it struggles to regain the health it enjoyed before the 2008-2009 worldwide financial crisis. Barry Glassman, the president of Glassman Wealth Services in McLean, says that low inflation, falling global commodity prices (especially oil), a strengthening dollar, steadily rising U.S. economic activity and increasing employment are all arguments in favor of his belief that Yellen and the Federal Reserve may not see any need to do anything at all to interest rates for several more months at least. To Glassman’s point, the World Bank reported in October that this year’s slow decline in worldwide prices in crude oil, grains and metals like gold could very well continue in 2015 because of expanded global production and diminished demand, a development that points to lower inflation in the U.S. and elsewhere. Also in October the IMF said the U.S. economy might expand by about 3 percent next year while growth in the European Union should remain at about 1 percent. Notable laggards expected to see lower growth rates in 2015 include the United Kingdom, China and Japan, three of the world’s largest economies. Slower economic growth and weaker currencies in those nations could stimulate demand for the dollar, predicts Glassman. That would cut the costs of imports for U.S. companies and consumers and push the prices of dollar-denominated debt instruments higher, which would lower U.S. borrowing costs even further — regardless of what the FOMC decides to do. During the wild swings of equity indexes in October, for example, when many investors were panicked by scares that Ebola would spread outside of a handful of nations in Western Africa, increased demand from investors for the key 10-year U.S. Treasury bond pushed its price to its highest level (and its yield to its lowest level) in about two years. “We’ve been saying for some time that the Fed is going to be very reluctant to tighten credit. And recent events have reinforced that,” says Hamilton of The Wise Investor Group.